It drives great, and already have taken it off-road on some trails. 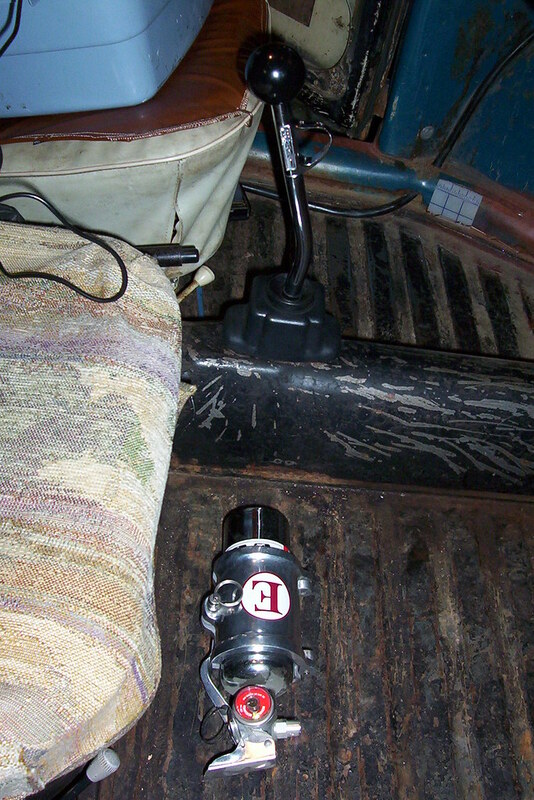 Most of my modifications will be in the suspension, like raising it and adding better shocks, etc. 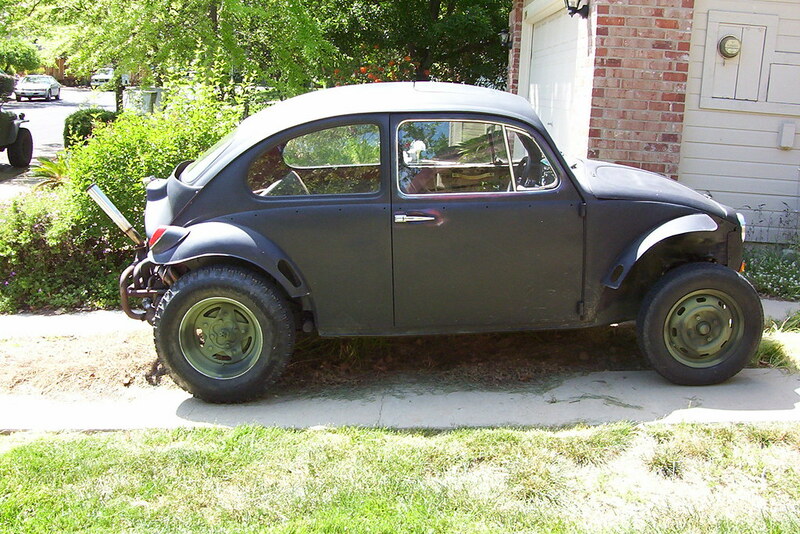 There has been some debate as to what year my bug is, but I do know that it has an IRS, a ball joint front suspension, and a 1600 dual port engine. 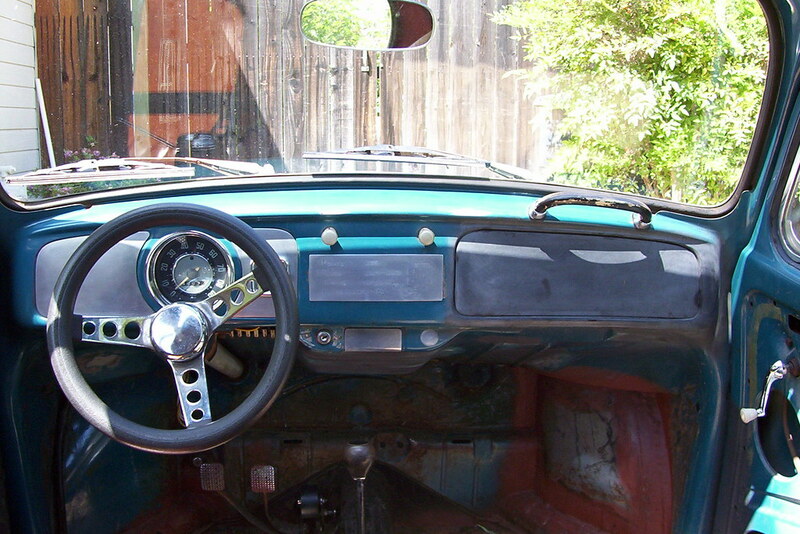 The shell has a hard sunroof, & has a vin number that shows as being a 1964 beetle. But with all of the modifications so far, who really knows, right? 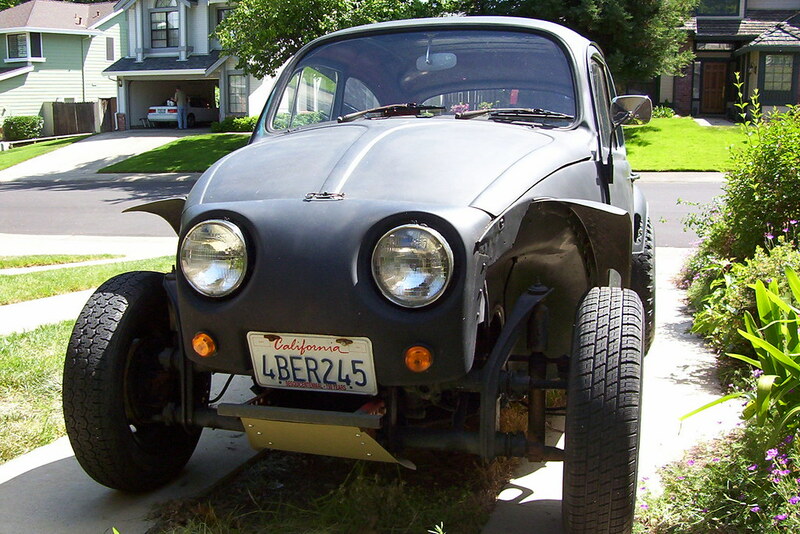 Since the bug runs fine, fluids changed and valves adjusted, I'm just adding the little things it needs, like a rear cage, a few cosmetic stuff, and prepping the body for paint. I'll try to add more pics as I go along, including custom stuff. 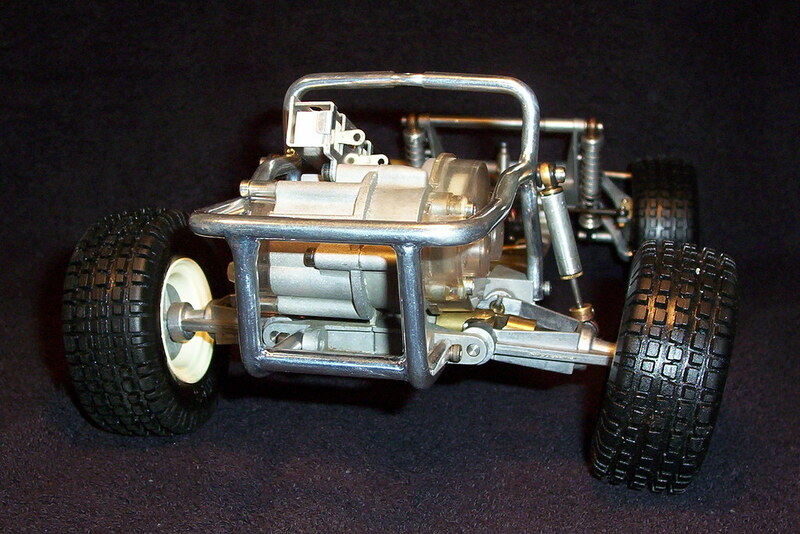 What I plan to do is make a full scale version of an R/C car (Tamiya Sand Scorcher). 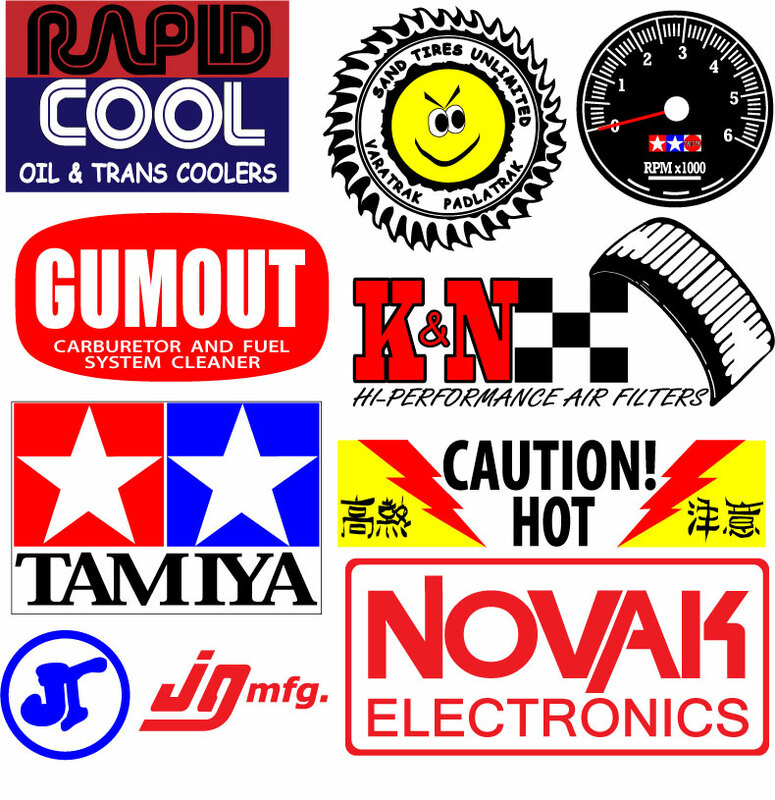 I already designed the "Decals" in Illustrator, and need a few more things before painting. I also plan to add oversized things to keep it true to a 1/10th scale remote control car idea. Things like a tool box in the back that resembles a giant reciever, an electronic speed controller resister with a "Caution! Hot" decal, and an antenna whip complete with reciever wires protruding from the top & bottom. I'm also going to fashion some oversized body mounts on the outside, complete with huge body clips. What do you guys think? 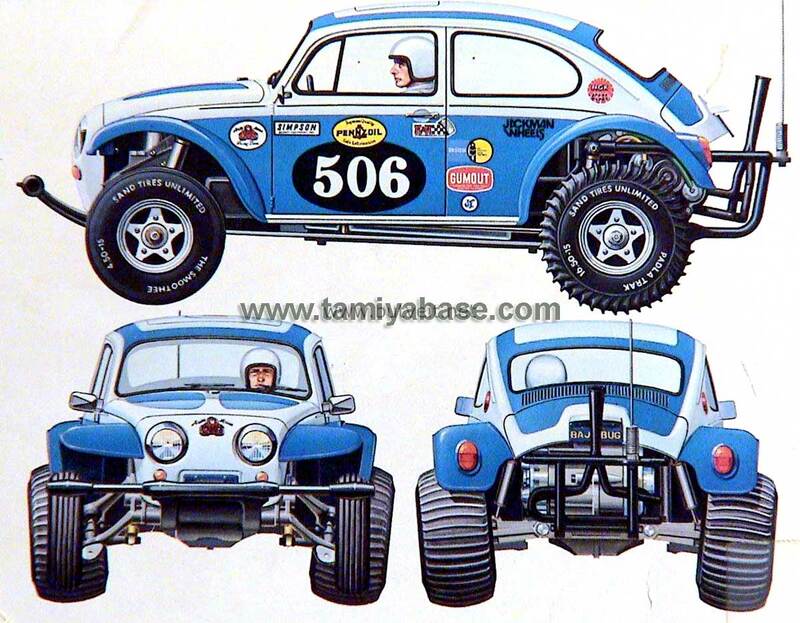 I have the Tamiya Monster Beetle. Had it since the late 80's. It's in the RC/Hobby room on the work bench currently in need of some work including speed controller and Rx updating. I wanted to get it out and fixed up for the beach trip this year but the full scale Baja has priority. I rather take it this time around. Stick with the white and blue definitely. You'll get smiles and waves from all the right people. Love the idea! White & blue, evan the red looks cool too. wihte and blue is sick!!! 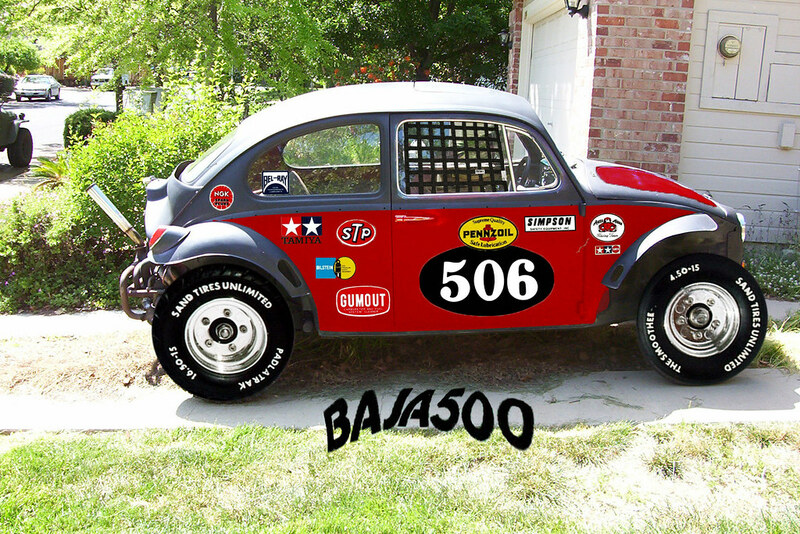 Okay, here's an updated photochopped version of my bug, & I must say that it looks friggin sweet! I think I will go for the blue and white after all. I added a rear cage, antenna, and receiver wire, plus an oversized body clip. I also kept the vintage R/C aftermarket Team CRP rims, which look a lot like Douglas aluminum rims. 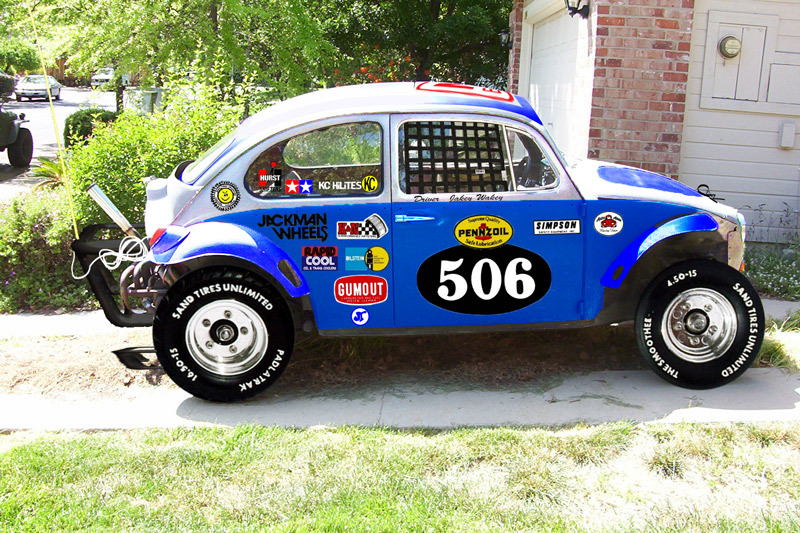 It's amazing what paint and graphics will do to a car, huh? cant wait man that thing is sweet. Plus got a two stage air cleaner, and various other stuff to keep me occupied in the next few weeks. The air cleaner is too large for a quicky bolt-on, so I need to fabricate a mount and add a rubber hose from the carb to the neck of the cleaner. I might consider mounting it inside behind the rear seat area. I'll just return it for store credit if I can't make it work. I have some new info on the year of my bug. The vin number does NOT match the shell! Looks like it's a 1964 or '65 shell on a 1969 chassis. I guess this is good news because I don't have to worry about shoddy welding & fabrication from grafting IRS and balljoint front end to a 64 chassis. It's still registered as a '64, so I won't change anything at the DMV. Just need to make everything else shiny & new to match the cage! Also in the pic is the two stage air cleaner. Hard to see in the pic is the mount to the shroud for extra support. The engine isn't pretty to look at but she runs great for now. I plan on water/dust proofing key components soon before heading out to the desert again. The short throw makes a big difference. I'm happy I also replaced the forward bushing and rear coupler too. The shifting is nice and tight and it doesn't grind into second when downshifting anymore. I thought my synchroes were toast! I thought I'd like to add that it is not hard at all to repace the forward shift rod bushing, for those who have never done it before. All the shops around here told me to get a professional to do it! Took me less than an hour to install the bushing coupler and shifter, & this was my first time. You can also see my new extinguisher & mount. I decided to just mount it on the floor out of the way for now. I just wanted it within easy reach. Once I put a cage in, I'll probably have it mounted to that. I like these rubber mounts. It dampens vibrations and looks cool too! 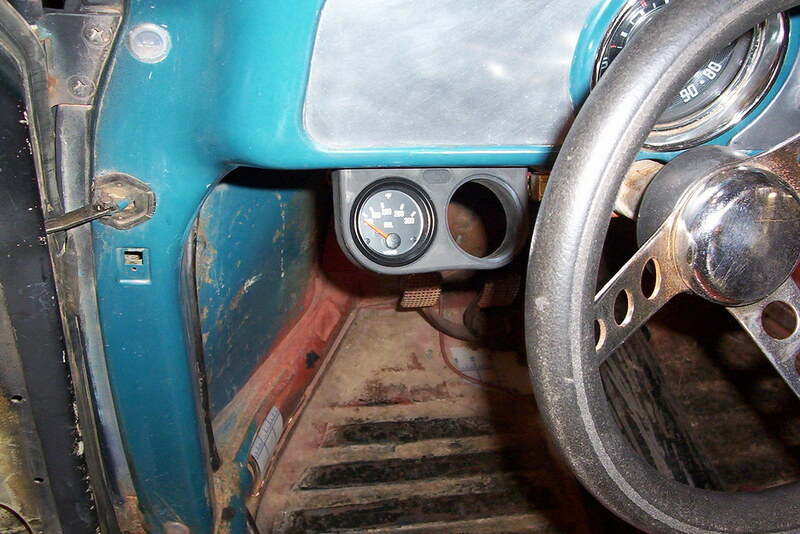 The other gauge will most likely be an oil pressure gauge. 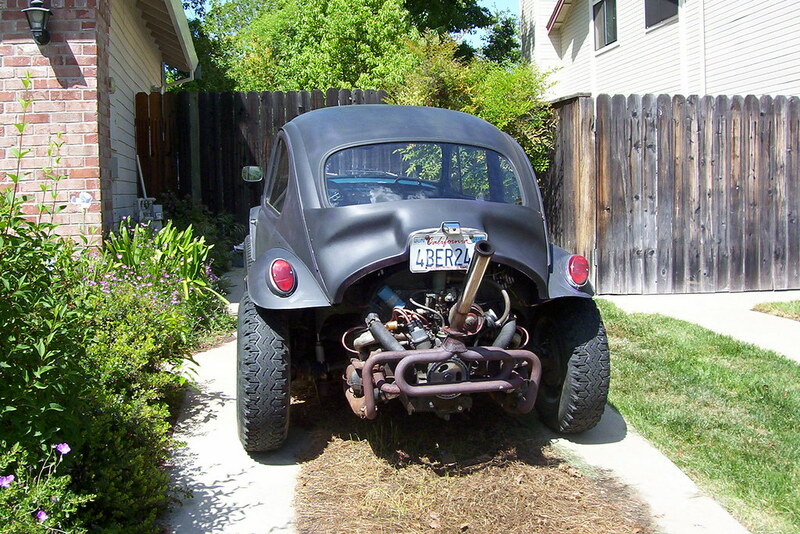 Well, now that I got these things out of the way, I can start on some bodywork & paint. I'm not going for a show stopper paint job, just a quick spray can job so I can add those graphics. I haven't mounted the sender yet, thought about using a t-adapter where the stock sender is mounted because I'm gonna have an oil pressure gauge soon. I would mount both senders there. I know another good spot where the oil sump is at the front of the engine. There is a plug at the bottom where the sender unit can mount to. Definitely NOT going to mount it in place of the drain plug. Too close to the ground. I could see a branch or something taking out the sender! Still not sure yet. Why you ask? Is there a spot you know of??? I love the RC idea and as far as i know i think its a first on this site. (Someone please correct me if im wrong) Cant wait to see some finished pictures. Oh and one last thing way to go on finding a deal! 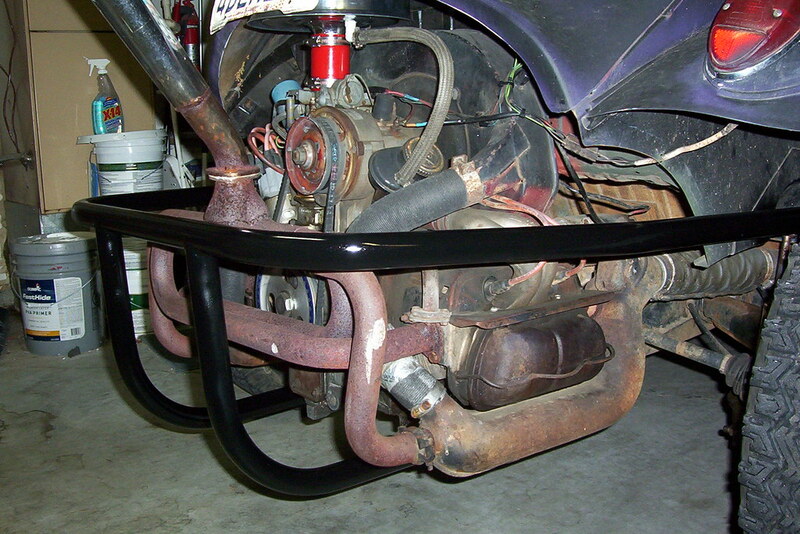 Just got some front fenders, so I'll be mounting those in a few days. A lot more bodywork is needed before painting than I thought. I'm basically patching the holes with fiberglass and resin right now. It's slow progress, but should have it ready for paint soon. I'll try to remember to take pics next time. I'm basically garaging it now, because every time I take it out, I break something! lol 1 step forward, 2 steps back, you know? I just started a new job, so money should be flowing again. I might add that the garage it's in is an hour away from me (my moms), so just the weekends will be devoted to the project.